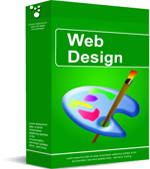 We not only design the wesite for you but we also host it. We aim to provide the total solution so that you don't have to contact different vendors for various supports. Yo-So offers cost effective web design and web hosting service bundled with value added search engine marketing solutions such as the web traffic analyzer program and inclusion of your website into the Hong Kong web directory. For more about the bundled offers please visit our Online Marketing Service Solution Pack for details. For clients who demand larger scale web operation set up and more customization on the design and look and feel of the web pages, Yo-So can provide tailor made solutions. If you also plan to search engine optimize your website, you will for sure be interested in our Chinese Search Engine Optimization or English Search Engine Optimization services. Companies who are interested in our web design and web hosting services please contact us for more details or fill out the online inquiry form below. We will get back to you within one business day.